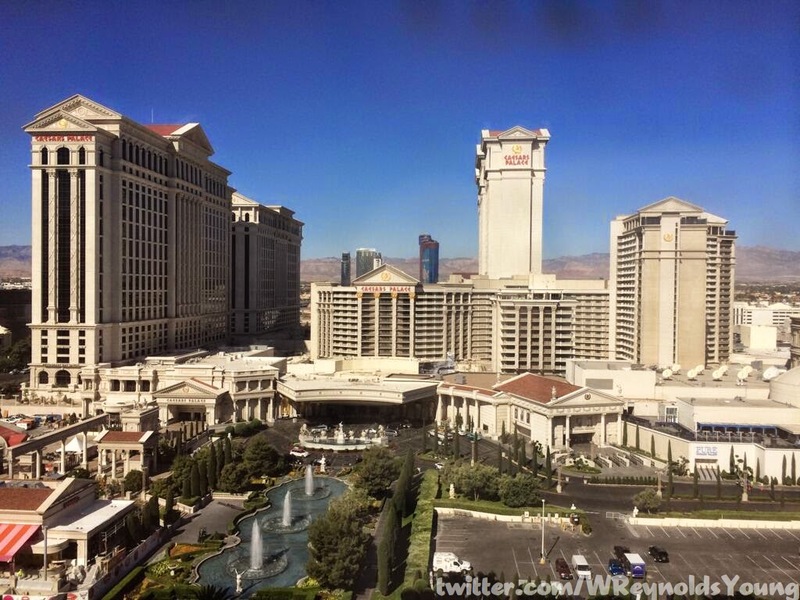 This week’s winner comes to us from @WReynoldsYoung for a picture that really gives you a great perspective of what a massive property Caesars Palace is. It’s a picture that was taken from his room at Flaming, documenting the final moments of his Vegas trip, a feeling anyone who listens to this show can identify with. While I’m not a huge fan of the property, simply because the years of additions and renovations have made it Vegas’ greatest property maze only rivaled by MGM Grand. Despite all that, the sheer size, scope and theme of the property alone secures a special place in my heart.